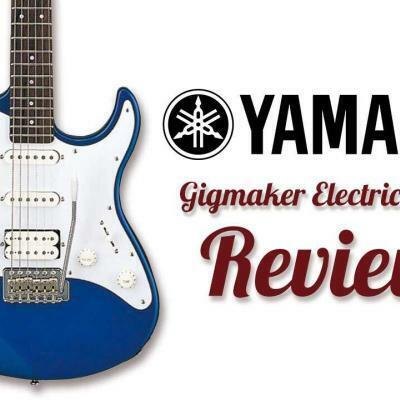 Home » Guitar & Product Reviews » Electric Guitar Reviews » Gretsch G5620T-CB Electromatic Review: Hollowbody Heritage Updated! 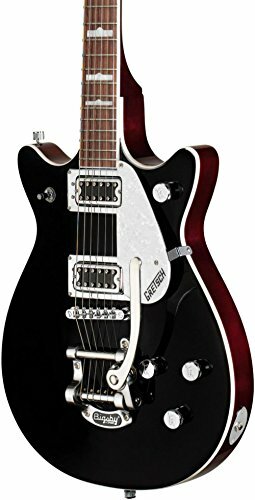 It’s Better Than Great, It’s A Gretsch G5620T! 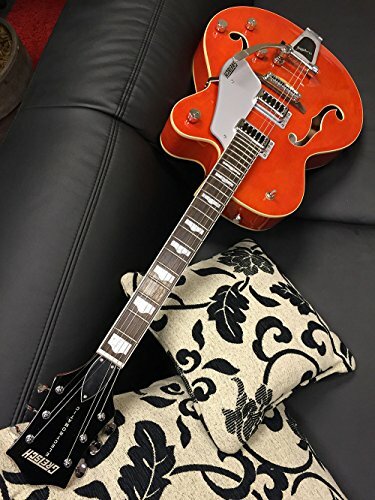 Some guitarists would consider the latest Gretsch G5620T-CB Electromatic that came across my workbench a modern classic – but that’s for you to decide.Are you a fan of wide-body six string soul? Brian Setzer certainly is. 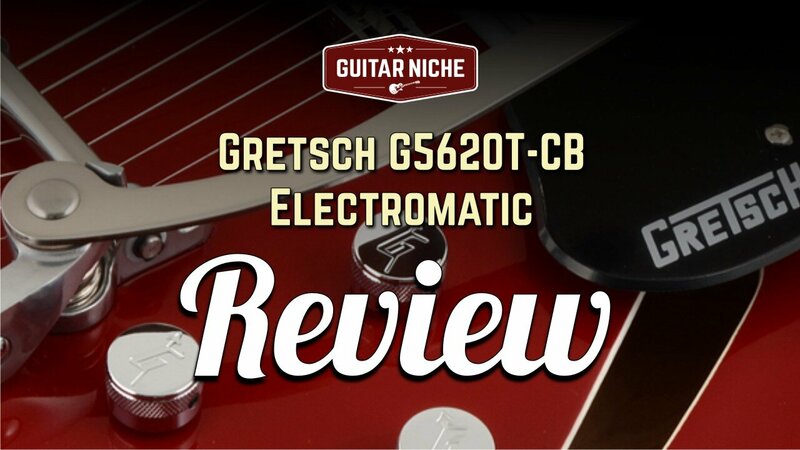 Whether you like them broad and curvy, or sleek and refined, I sincerely hope you enjoy this Gretsch G5620T Electromatic review. If you’ve ever had the good fortune of handling a vintage 6120 or Duo Jet, you can appreciate how Gretsch’s distinct vibe has impacted the guitar universe. Founded in 1883 by Friedrick Gretsch in Brooklyn, New York – now there’s some long musical roots – the company has gone through numerous iterations. The latest of which being an agreement with the monolithic FMIC. 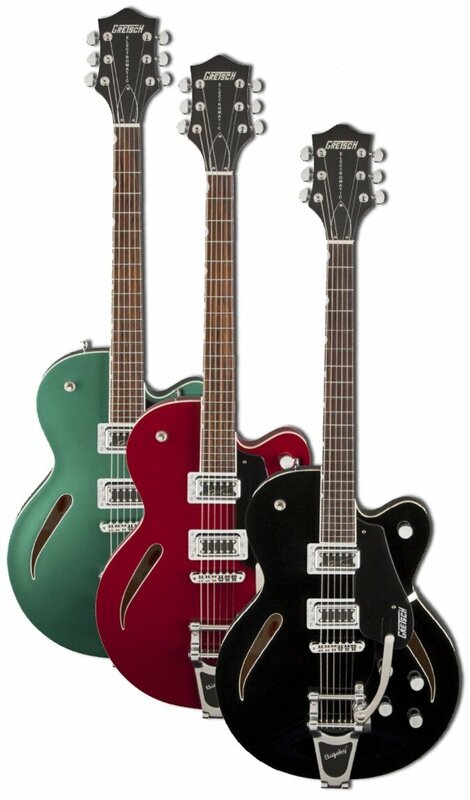 By being in cahoots with the Fender clan, Gretsch gets to leverage Fender’s worldwide production matrix while still retaining the family jewels – so to speak. Does this mean you’re playing an impostor? Not at all. You’re benefiting from world class production methods which keep costs under control and maintain continuously high standards. Which brings us to our current instrument, a spiffy new Gretsch Electromatic G5260T Center Block model just waiting to unveil it’s true voice and tell us it’s story. At first blush, the familiar wide headstock profile, thumbnail fret markers, signature pickups and Bigsby tailpiece all scream Gretschiness. This particular specimen sported a sweet Competition Blue finish – exclusive to the Canadian market. Regardless of finish flavor, the next thing that strikes you is the cat’s-eye sound holes – a very cool departure from the traditional f-style your grandparents would be more familiar with. The smooth arcs of the luxuriously wide body are total eye-candy if you’re into curves. Graceful and streamlined all at the same time. 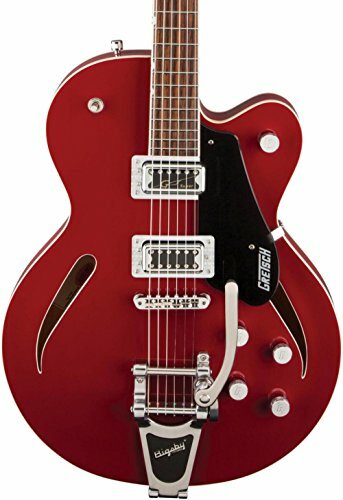 As with all well-branded instruments, the Gretsch G5620T-CB features signature, art-deco inspired elements that set it apart: vintage “G” branded knobs, a neat cleanly squared-off knurled switch tip, knurled and very practical thumbscrew strap buttons all topped off with retro funky pickup surrounds. 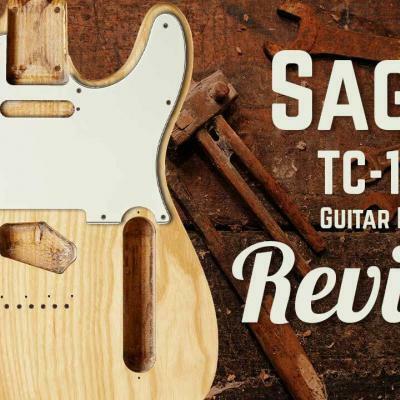 In contrast, a rather plain single ply pickguard reminds us that the guitar is still pegged to mid range price points; a little less flash than it’s predecessors yet still compliments with a clean finish. Similar to the broad width of an ES-335 style Epiphone Dot, the maple ply body sports a thinline style depth of only 1-3/4” similar to a solid body spec. This combined with a spruce “Center Block” that both denotes the CB model suffix and the internal wedge that runs the length of the body, greatly reduces the potential for feedback at high gain settings. 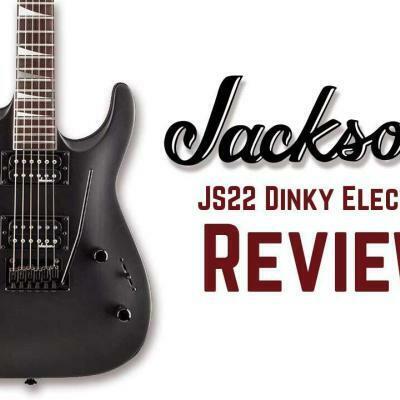 If you’re a fan of saturated overdriven tones, distortion, or just like it LOUD, this is a very good thing. One thing I’ve always appreciated about the Electromatic series – their excellent and very playable necks. This one was no exception. The fret work was simply immaculate on the rosewood-topped maple neck. The 22 medium-jumbo beauties were polished to a high luster with nicely rounded ends making them more comfortable. Totally opposite to the lesser brands on the market which develop nasty sharp fret sprouts. I wound up adjusting the truss rod a bit to remove a bit of excess relief. Not only did the rod and neck respond instantly without a hint of binding, but the resulting optimized playing surface was lightning fast. A real testament to a properly constructed neck architecture. With light gauge strings held fast by descent Grover tuners, the D profile neck played brilliantly across it’s 24.6” scale length. Full bends in the upper register were accommodated easily by the relatively flat 12.5” fretboard radius. Compared to the traditional pressure bound bridge. the finely engineered Adjusto-Matic bridge is solidly fixed with studs and easy to intonate. Next generation players will find it not only more familiar, but less frustrating. Of course no child of the Gretsch family should be reincarnated without a Bigsby to hang on to. The licensed Bigsby B Series machine that came with this G5620T was quiet and worked like a fluid charm. Overall, the fit and finish were just super. You could sense that it’s a solidly built instrument. Plugged into my very old and heavily modified Traynor YSR-1, the Electromatic G5620T unleashed a torrent of beautiful Gretsch tones as expected. The “Black Top” Filter’Tron bridge pickup measured 4.51k on my ohm meter and produced a solid bark on a clean setting. 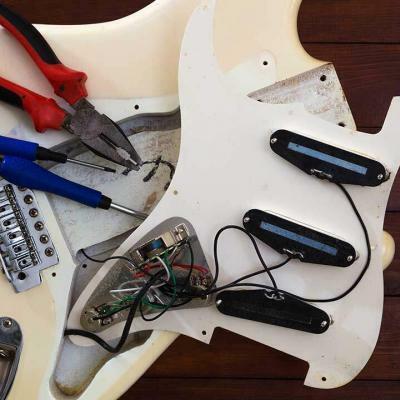 Compared to the neck’s Super HiLo’Tron pickup which measured 4.25k, there was a definite change in character and output. The neck was more subdued and lacked a little high end sheen. When paired together in the middle position they were actually quite complementary. But again, I would have preferred a little more detail in the upper end. They both sounded very Gretschy. As for the lack of inducted finesse, I would attribute this to two things: cost effective mass production and hum-canceling construction properties. Note: I’ve been using the same service amp for many years. It’s bullet proof, runs day in and day out plus it’s capable of shining a very bright light on the smallest imperfections in an input signal. With a couple of quick adjustments it covers everything from American clean to British brute force. 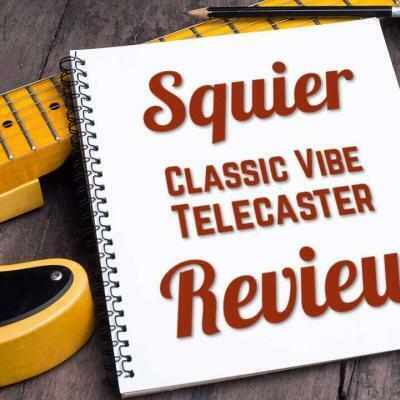 If there’s any deficiency in a guitar’s output, or the tone is masked in any way, the dynamic all-tube signal chain of the Traynor will reveal it. With a good bit of gain, and a generous helping of reverb, things evened out a slight bit from natural compression. Making use of the master volume and various combinations of individual pickup controls produced a nicely responsive tonal pallet. Not without issues, but still intuitive and a lot of fun to play with. The first thing that caught my attention when I pulled the Electromatic out of it’s case was it’s weight. I suspect it had more to do with the addition of the center block than anything else. Compared to an entirely hollow guitar, the natural acoustic tone was a bit stifled. Luckily the Filter’Tron pickup engines made up for lost power when juiced. At the north end of the neck, the mass produced Tusq nut needed some finessing to smooth the sharp outer edges and make it more comfortable. Electronically, the tone pots could have a better taper. As is typical with certain circuits, there’s a slow gradual roll-off until you hit that last 15%, then the top end drops off like a lemming over a cliff. You might want to consider having them upgraded if you’re a tone tweaker. 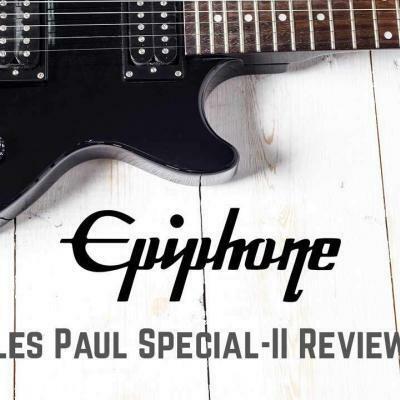 If you`re looking for a different, yet familiar companion by another popular manufacturer, consider the less expensive Epiphone ES-339 Semi Hollow Body, the comparable Epiphone SHERATON-II PRO Thin-line, or the Epiphone Riviera Custom P93 Semi Hollow Body Electric Guitars. Close relatives by nature thus sharing many features, but have it their own distinctive sonic footprint and visual vibe. 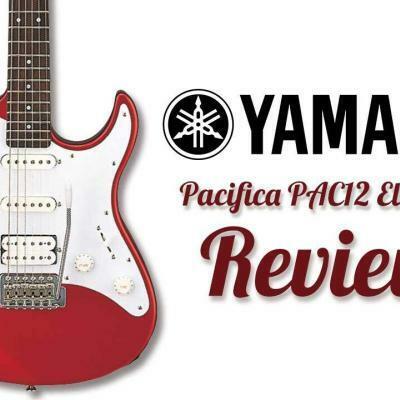 Priced at the upper end of the mid range market, you`d be hard pressed to find an instrument that checks as many boxes considering who it`s designed for. 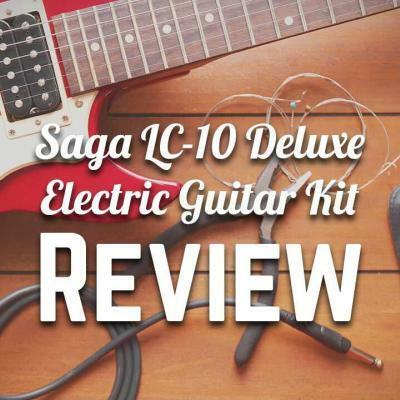 New players to seasoned weekend warriors will find it a worthy workhorse eagerly waiting to help define your sound. 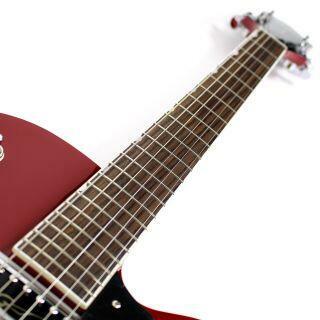 A major complaint that comes with vintage vibrato systems, as found on the Gretsch Electromatic G5620T-CB, is tuning. I can assure you that in the hands of a good technician, most if not all of those problems are easily remedied. As with any purchase of a descent instrument, please do yourself a favor and have it setup. 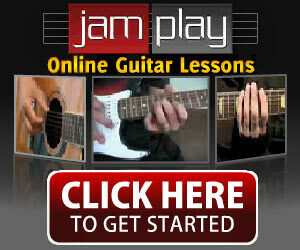 If the retailer doesn’t offer the service or isn`t capable, take it to your local professional guitar tech. Out of the box the vast majority of instruments are generalized in their setups. The nominal fee to have it tailored to you as an individual is more than worth it. Considering the increased level of enjoyment you`ll have, it`s also a relatively small price to pay compared to the overall value of your new purchase. About: AMERICAN SOUND & BEAUTY For musicians, style is all about emotion. So, when Gretsch fans talk about the look and sound of our instruments, they’re really talking about how the music makes them feel. And while we could describe it, we’d rather you experience it yourself. 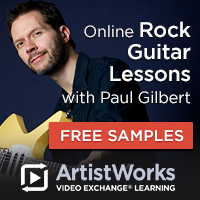 Because your emotions, like a Gretsch, aren’t commonplace. They are personal. Thanks for the low down on them Steve. I’ve been tempted to check one out and I wondered if they played as nice as they look; you answered that question thoroughly. It may be time to get my Duo Jet’s a new friend. Thanks Mark, much appreciated! They certainly are nice instruments.